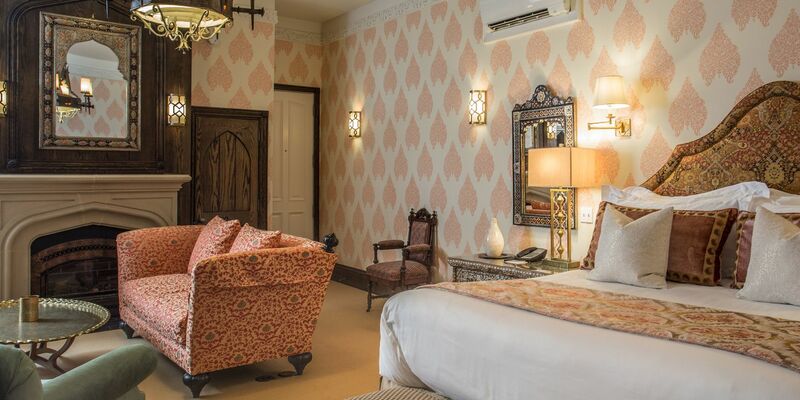 The Chanler introduces its newest guest room, the recently renovated Moroccan Room. This spacious garden view room boasts an open-planned living space that greets guests with an impressive stone fireplace. 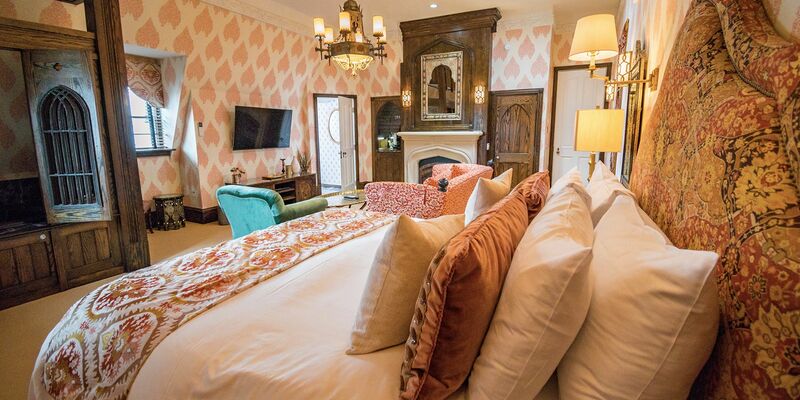 Retreat to this estate room and experience Moroccan artisan-style furnishings. The carpet throughout the room invokes the Saharan sands while the rich fabrics of deep orange and red evoke images of African sunsets. 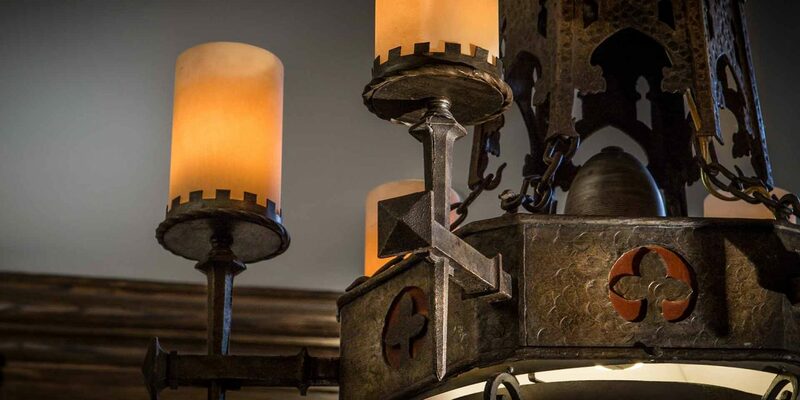 Unique design elements and small treasures that can be found in a local Souk bring elements of North Africa directly to The Chanler. A brass coffee table, ornately carved dark wood furnishings and richly hued upholstery make the Moroccan Room refreshing and full of energy. Relax in a restful and elegant king bed after taking a dip in your in-room, enclosed double Jacuzzi tub with pointed arches. Marvel at sweeping garden views from the comfort of your room. 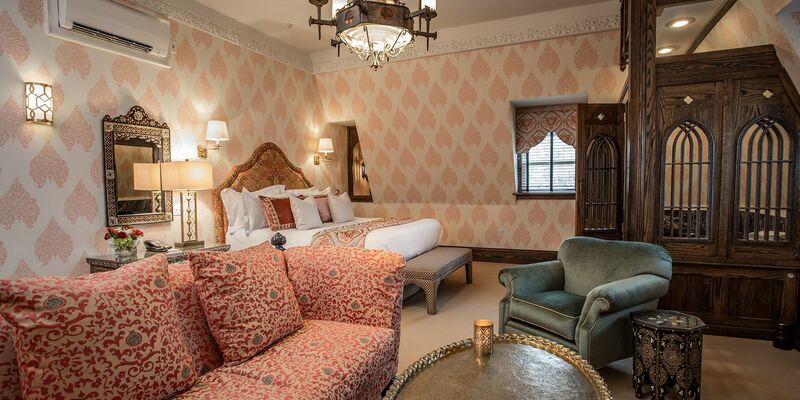 The Moroccan Room is located on the third floor and requires climbing two flights of stairs. Please note: The Chanler does not have an elevator. 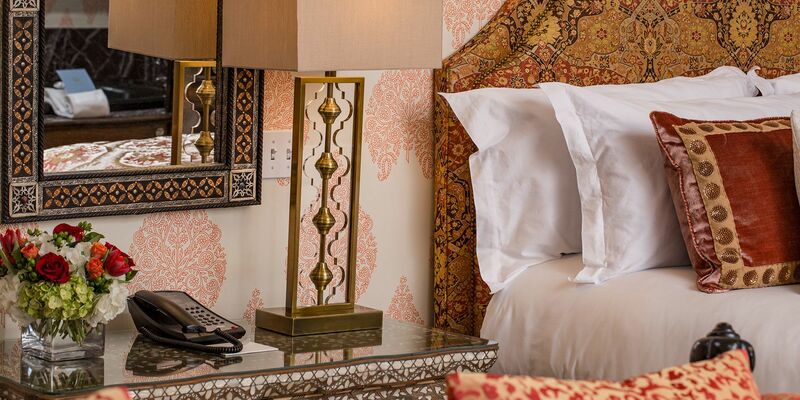 Spacious and adventurous in design, the Moroccan Room will transport you to the African continent.